I came up with this recipe last year following a challenge from a Ready Steady Cook Facebook group that I’m part off, involving fellow food bloggers. The ingredients we were given were; Salmon, Swede, Spinach & Leeks. You have “free” list of things like spices, herbs, diary, nuts etc. We had a week to devise our dishes (as many as you like), cook them, then post the results and pictures to the group. An independent person then judges. I ended up mixing the Spinach & Pistachios in with some boiled rice, as we had an extra guest for tea, this worked well making the food go further. 1) Add the Swede to a pan of boiling water and cook for around 15 minutes until the Swede has just turned soft. 2) Whilst the Swede is on the boil, fry up the chopped leak in a little oil, with the garlic & Cayenne Pepper. 3) Once cooked, drain the Swede and mash with a knob of butter. Mix well with the leak in a large bowl. Add Salt & Pepper. 4) Mould the Swede mix into handful size balls, shape and flatten out as you can see in the above picture. 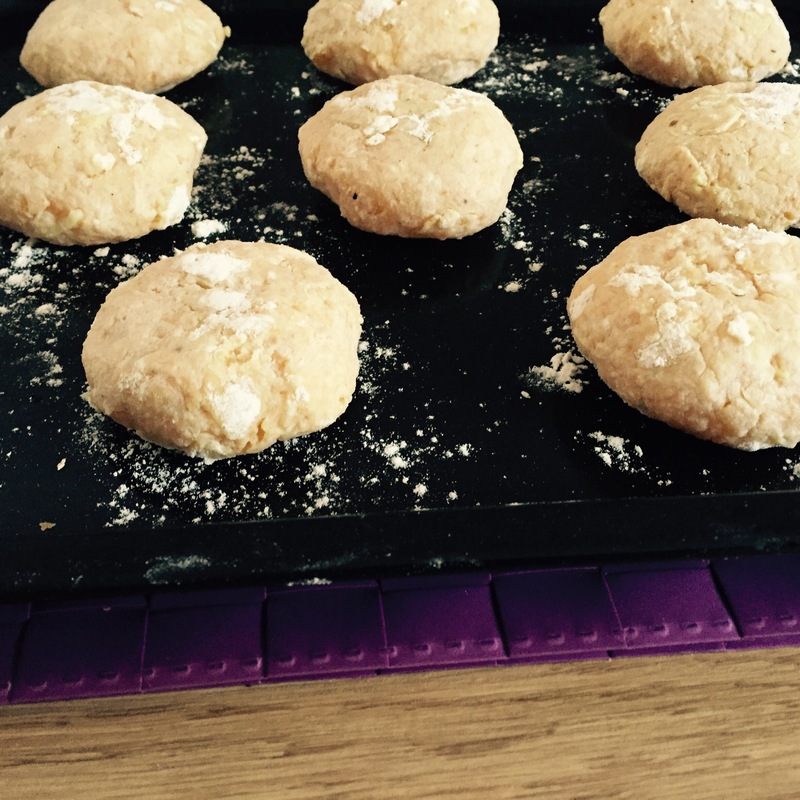 5) Once all the patties have been made, cover each one in beaten egg, then roll in flour. Place on a plate, cover, and place in the fridge until ready to cook. 6) Melt a knob of butter in a small pan. Then add a tbsp of flour to mix into a paste, and gradually add the milk. Stir in the grated cheese. Add more flour if the sauce is not thick enough. Throw in the Tarragon at the end. Turn the heat off and place a lid on the pan to keep the sauce warm. 7) For the Salmon, pre-heat the oven to 180 oC. Rub some Salt & Pepper onto the fillet, squeeze the juice of 1/2 a lemon, drizzle over some oil, and wrap in tin foil. Depending on the fillet size and oven type the Salmon will take 20-40 mins to cook. 8) Whilst the Salmon is in the oven, put the rice on to cook. 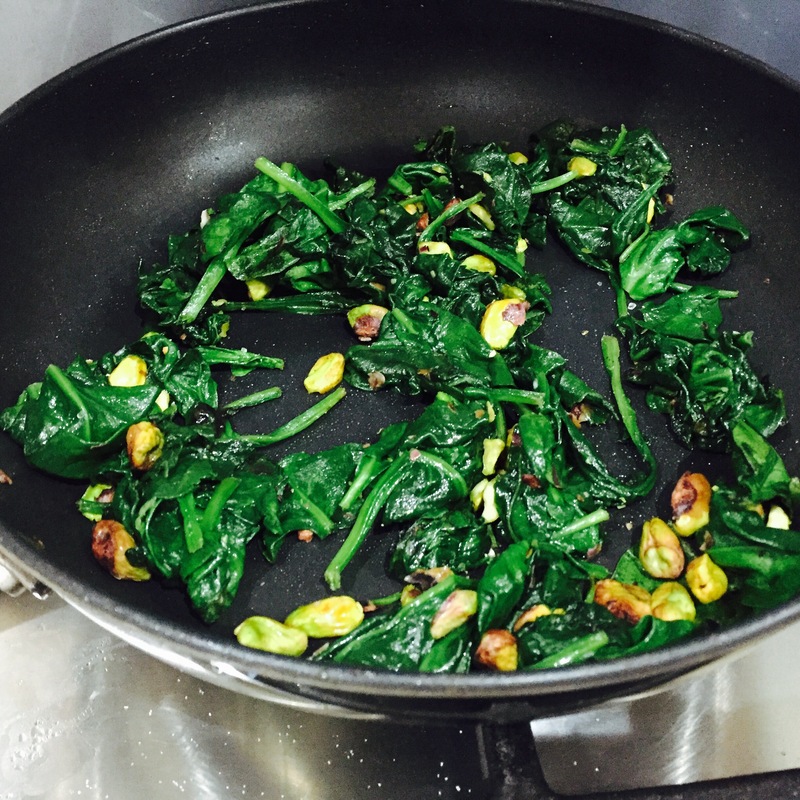 In a separate pan add a little oil and place in the Spinach and Pistachios. Remove from the heat once the Spinach has wilted. Mix this mixture in with the rice once cooked and drained. Place into a pan/dish with lid on to keep warm. 9) Once the Salmon is cooked, remove from the oven keeping it wrapped in foil, and leave on one side to rest. 10) Heat up a large frying pan with approx 300mls of Olive Oil. Take the Swede Patties out of the fridge and place in the hot oil, cooking for around 2 minutes each side, or until nice and golden. Place the parties on kitchen roll once cooked to absorbe any excess oil. 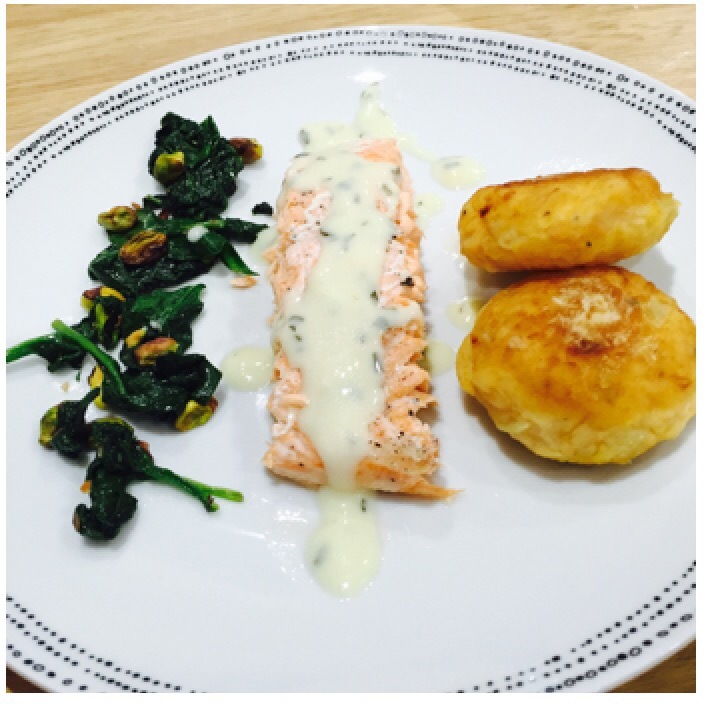 11) Serve up the Salmon, Patties and Rice on plates, pouring the cheese sauce over the Salmon. And enjoy! Next Post Hosting my First Supper Club!